Being a pet parent, how often have you noticed that stark stare right into your eyes by your pet dog? A stare that’s so stark, as if trying to say something very important to you. It could either be a hint of a treat or something that’s not related to food. Broadly speaking, the non-food related bit could be anything from discomfort to some grave forthcoming. All in all, your dog’s stare does require your attention and here’s a list of some reasons that may answer your why’s. If you have been wondering why does my dog stare at me constantly, it could possibly be coming out of their want to play. Tamed to a great extent now, let’s not forget their wild roots. These now-domesticated animals possess the DNA to be out and about and get some activity. So a stare can be a definite indicator of play! One of the factors of loyalty is also obedience and trust of command. If you have observed your pet dog staring at nothing or contemplated “why does my dog stare into space” their want of command could be the reason. This also signals a demand for direction from their end in order to pursue the next. Who doesn’t love some extra attention and praise?! Your pet dog dotes on you and their excitement is rather obvious. Thus, should you have ever been taken aback by the thought “why does my dog stare at me and pant”, know that it’s the excitement! What must follow is some good boy (or girl) praises! Packing your bags for a holiday? A special life event? Your pet dog can sense it! Highly receptive to their environments, pet dogs have the ability to gauge what’s going on. This is extremely evident in their stare. In case it’s something undesirable they perceive, like you going on a holiday, the answer to your question “why does my dog avoid eye contact” is answered rightly! The drawback of nonverbal communication is the absence of words and the ability to state discomfort aloud. But hey, actions speak louder than words, they say! So a stare can be a hint of discomfort related to factors like pain. 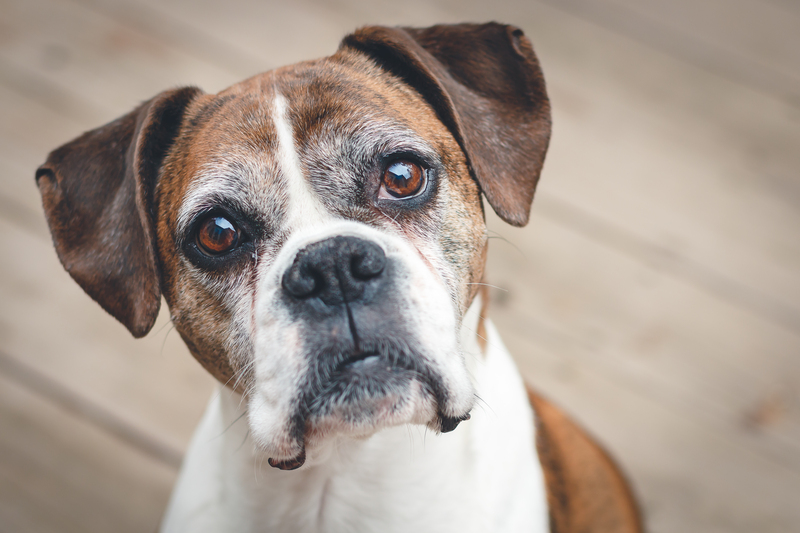 Should you have ever deliberated “why does my dog stare at me when he poops”, it probably has got to do with some internal discomfort that the vet can determine. Last but not least a dog standing still and staring is an intimation of confusion. If the stare is accompanied with a head tilt, your pet dog is definitely confused and needs your attention! Confusion could also mean they are trying to understand what we want or expect from them. That being said, the right way to address this is lots of love and attention. Along with the stare, staying attuned with your dog’s body language can be extremely insightful. Conscious and unconscious body language can be a window of knowledge to strengthen this beautiful relationship of nonverbal communication.